Something you know, such as the answer to a secret question, a PIN or a password. Something you have, such as a smartphone, a token or a credit card. Something you are, such as your fingerprint, voice recognition or an eye scan. 1. 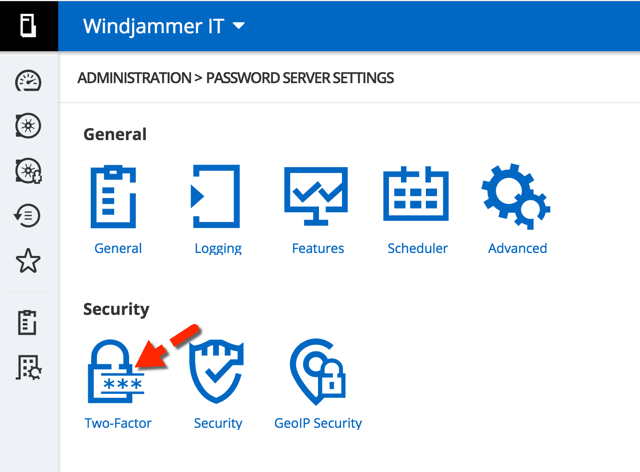 From the Devolutions Password Server web interface, go to Administration – Password Server Settings – Two-Factor. None: No 2FA will be required for your users. Optional per user: Gives the administrator granular control over which users require 2FA validation and what type of 2FA each user will use. This is the most flexible option. Required: Makes it mandatory for everyone in the organization to use 2FA, and they must also use the same type of 2FA. Administrator: Sends the reset email to all users who have the Administrator check-box checked. Note: if you are using AD integration exclusively, I do not recommend using this option. Specific email: Sends the reset email to the specific email address that is entered in the Specific email box. 3. Next, you’ll need to define the Supported 2FA types. If you’ve selected Optional per user in your 2FA usage, you’ll need to check all types of 2FA that will be used by your users. If you’ve selected Required in your 2FA usage, then check the one 2FA type that will be used by all users. If more than one 2FA type has been checked, you’ll need to select the Default 2FA in the dropdown menu. 4. The Alternate section is the backdoor entry for your 2FA. For example, let’s say you have selected SMS as one of your 2FA methods (or possibly your only 2FA method). A user forgets their phone at home and can’t log into their account. This option lets you grant them access through an email and/or through backup codes. 5. 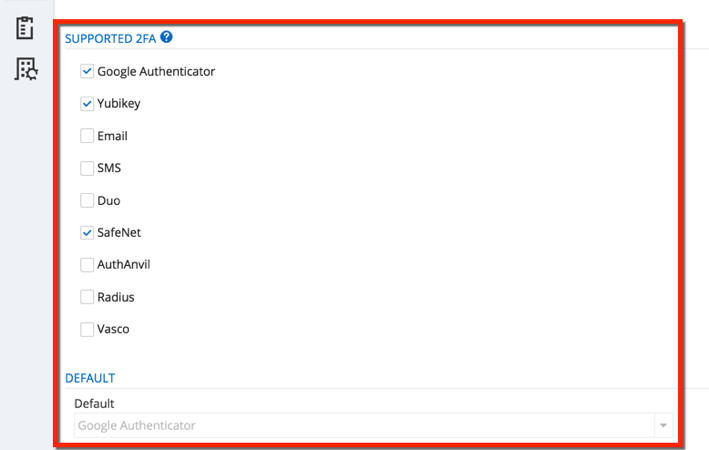 Now that you’ve completed the setup, you need to define the 2FA usage for each of your users. This step is necessary only if you’ve chosen Optional per user in your 2FA usage. For most methods, if you set 2FA to Required users will automatically be forced to set up the 2FA on their next log on. Go to Administration – Users. From there, click on the 2FA side menu. 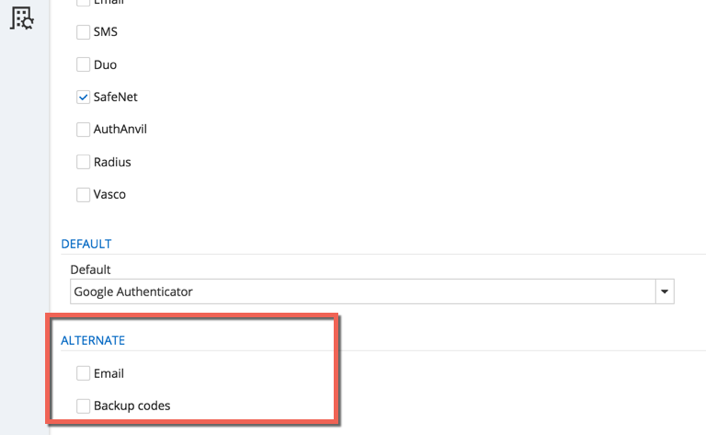 Then click the Type dropdown menu and select the 2FA type that the user will be required to use. 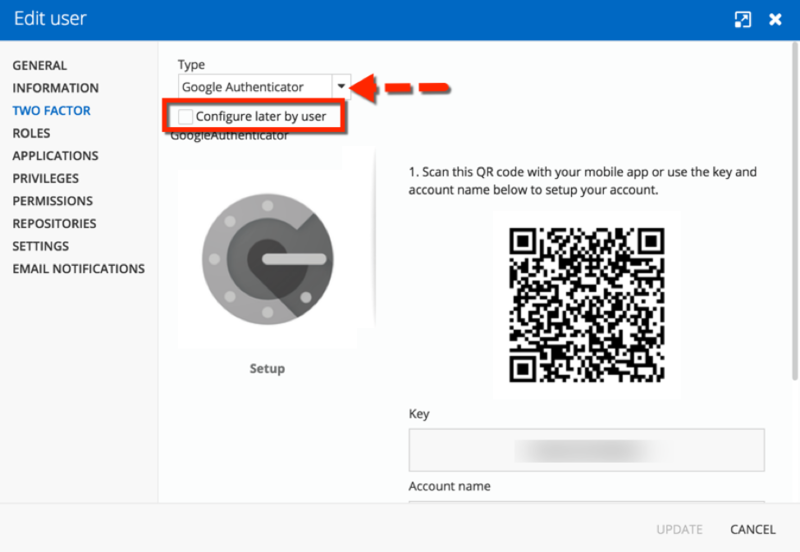 You can then decide to configure the 2FA for each of your users or you can simply check the Configure later by user box, in which case the next time a user logs in, they’ll automatically be prompted to configure their 2FA. And that’s it! You can pat yourself on the back and take a bow, because you’ve enhanced your data source security in DPS. Good job! Here’s a little extra tip: if you’ve received a notification to reset a user’s 2FA, simply go to Administration – Users 2FA Reset Status and click on the lock to reset their status. If you need some insight into choosing the right 2FA security key for your needs, check out my review and comparison of leading providers (now updated to include FreeOTP, Authenticator Plus and SoundLogin!). If you need any additional help configuring 2FA with Devolutions Password Server, please watch the tutorial video below, which should answer all of your questions. If not, then please contact us and we’ll be happy to help.